It’s time to reflect on what you intended and accomplished this year! In the Tip below, I’ll help you get started by sharing my results and learnings for 2013. We lead off, though, with my holiday gift to you: a new Goal-Setting Kit for 2014 to capture your own accomplishments and set your goals for the coming year! Did You Live Your Intentions in 2013? Each year at this time, I ask my clients to take a look back at the past year, acknowledge their accomplishments, and assess what worked and what didn’t. This year, I’d like to share my own results. When I wrote about my intentions last January, I declared that 2013 would be about doing it my way. I wanted to take actions in my business that reflected who I am. Here is my assessment of how that went. No public speaking: A+. This was an easy one. I received a handful of speaking offers, and each time, I talked with the requester, found out what sort of a presentation she was looking for, and referred her to a colleague who fit the bill to a T. This was a win-win-win: I was able to say no to something I knew I wouldn’t enjoy, help the person/company find someone else who would do a great job for them, and give my colleagues a boost – all at the same time. No networking groups. A+. 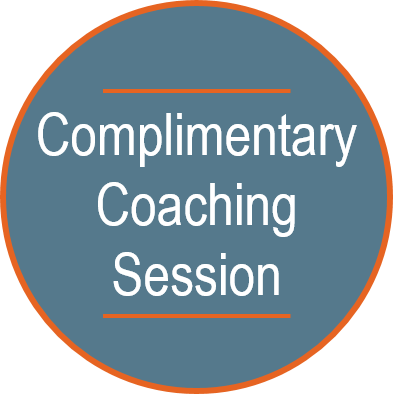 I chose to change my networking focus this year from networking with groups to connecting with people one-on-one. I averaged six to eight meetings a month with people whom I thought I could help or who had helped me. Not only did I learn more about the person this way, but I also came away inspired about ways I could share my new ideas with clients and colleagues. Loved it! No doo-dah time: C. Doo-dahing is my term for being drawn to mindless tasks (like organizing your desk or doing laundry) before you can settle down to work. With my first two intentions, there were other people involved, my actions were visible, and I had a plan for dealing with the situation when it arose. When it came to doo-dah time, however, it was just me in my office doing my thing, and I lacked a clear vision of how I would respond to distractions. Lesson: I thrive on accountability and structure. Also, I need to tie this intention to a concrete plan for dealing with procrastination. No more 24-7: B-. Well, of course I didn’t work 24/7! I ate, slept, and showered, too. And I only sat at my desk on weekends to answer the mail. And take a peek at email. And then before I knew it I was deep in the thick of it. Lesson: It’s better to spend a few hours (set the timer, please) putting things in order than to arrive at my desk on Monday morning stressed and without a clear idea of my priorities. Again, I need to create structure in my workday and set clear intentions for what I want to accomplish, or the boundaries between my work and my life begin to blur. No arguing with myself: C. One of my strengths is the ability to see a situation from many sides, but like all strengths, this one has a tendency to become overused. During the past year, I became very aware of the conversations I have with myself. Very often I spend needless time weighing the pros and cons of a situation when a decision can be made in a simpler way. Lesson: Before reviewing all the options, ask myself: what is the result I want from this decision? Keep my goals and values at hand so I can easily factor them into the equation. I learned this year that I’m not a straight-A student! It’s harder to make life changes than it is to pass a written test. Letting go of things I don’t really want to do is easy, but changing ingrained patterns can be more difficult. Specificity helps: I need to create a clear picture of how I want my behavior to change. Wondering about my measurable results for the year? Well, the revenue for my business was up by 12%. Also, I lost ten pounds and (with lots of help from my husband) renovated a bathroom. In January, I’ll share what else I accomplished. How did you fulfill your intentions this year? First and foremost, enjoy this blessed holiday season with family, friends, and loved ones. Second, look back at 2013 – did you enjoy the journey and reach your goals? 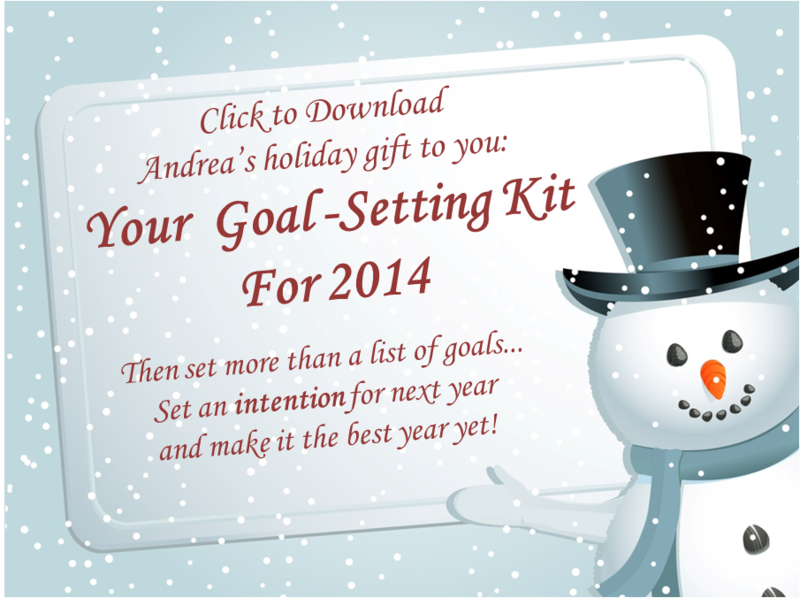 Third, plan for 2014 using your brand spankin’-new Goal-Setting Kit for 2014. I’d love to hear from you about what you discover as you take time to reflect and plan. Please take a minute to share your thoughts below.